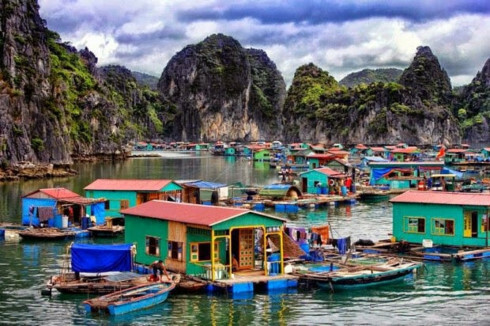 Quang Ninh provincial authorities have imposed a fishing ban in the core area of Ha Long Bay after investigations of fishing activities in Ha Long Bay and Bai Tu Long Bay. The province has launched a campaign to protect local marine resources. Ha Long Bay, a world natural heritage recognized by UNESCO, welcomes an increasing number of tourists who consume a lot of seafood. Due to overfishing, marine resources in Ha Long Bay, Bai Tu Long Bay, and adjacent areas have been disappearing. A ban on overexploitation of marine resources has become necessary to conserve nature and ensure a sustainable livelihood for coastal people. This month, the campaign has been widely implemented to protect the natural beauty and biodiversity of Ha Long Bay and promote other types of tourism for resilient development.